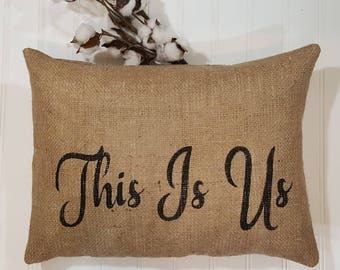 i love us Pillow Burlap Stuffed Pillow Rectangle 16" x 12" is made with a high quality burlap and lined with cotton muslin. I have lined this pillow so that no white fiberfill shows through your pillow, this gives your pillow a very sturdy feel. 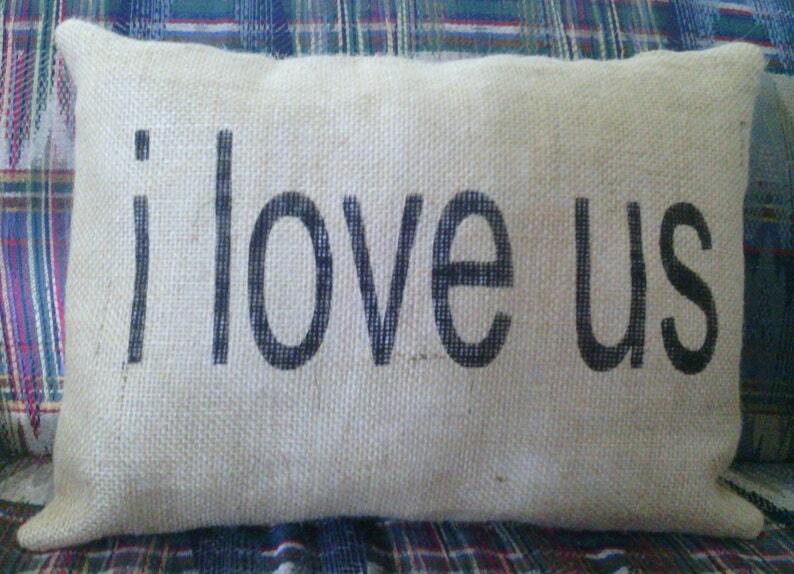 Your throw pillow will let everyone know how in love you are when they read i love us! You can place your pillow on your bed, sofa, shelf or anywhere you want to share your love. This pillow will give you a warm loving feeling every time you see it. i love us letters are painted black on the front of the pillow with sayings.